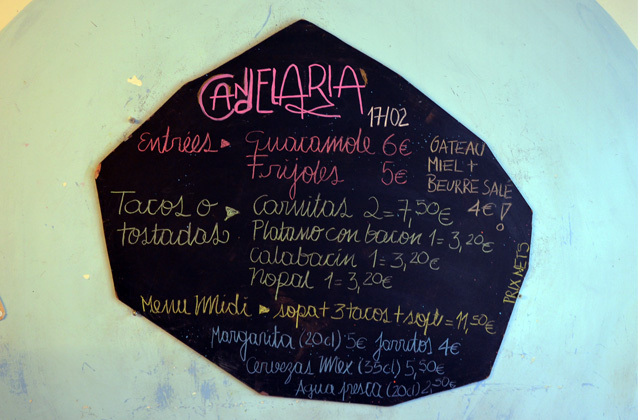 What I soon discovered was a tiny and unique Mexican restaurant that was hidden away from the hustle and bustle of the big boulevards. 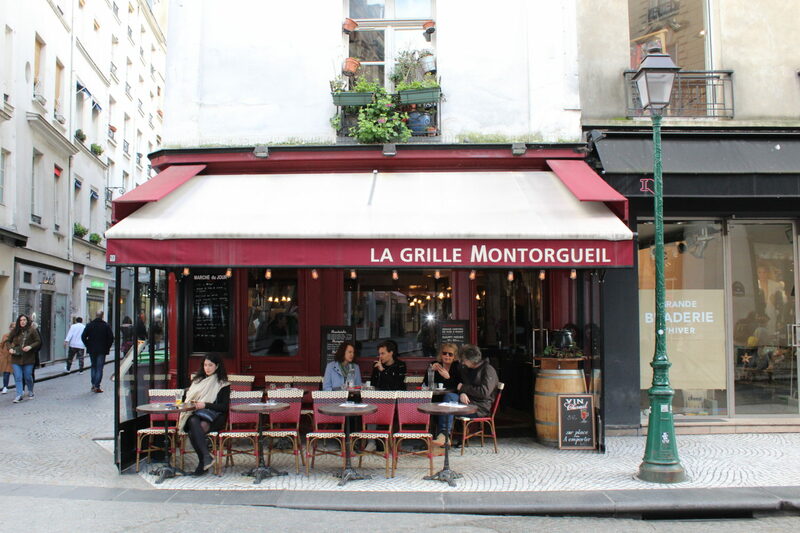 The restaurant is actually not far from Republique metro station but it is nestled into a small street, just far enough away to be considered a local’s hang out. As you sit down to eat, at the bar or on the large table for 6, you quickly realise that you are going to have an authentic experience. The waitress is shouting orders in Spanish, frozen margaritas are pouring out of a machine and at the far end of the bar someone is cooking on a tacos on a tiny grill. We decided on guacamole with chips to start, frozen margaritas and a selection of tacos. The frozen margaritas were delicious but a little small for the €7 price tag. After we ordered a selection of tacos and the black bean soup, it was all delicious! However, the tinga tacos are very spicy so beware of that when you order! All in all we had a great time at Candelaria. The atmosphere was buzzing and even though the place is very small, it just added to the homely and cosy feel of the place! If you haven’t been before I would highly recommend you try it, just be prepared to wait as there is not much seating space. If you do have to wait you can always go to the end of the bar and push the wall (no really, push it, it’s a secret door) which leads to a beautiful bar. Have a drink here while you wait for a space to open up in the restaurant. It’s the same owners but just different bar styles! A very quirky, unique, must visit place in Paris. I’m a fan of guacamole!! For the rest, don’t know anything about Mexican cuisine:)) Need to try this place! You must Anna! It’s simply delicious!